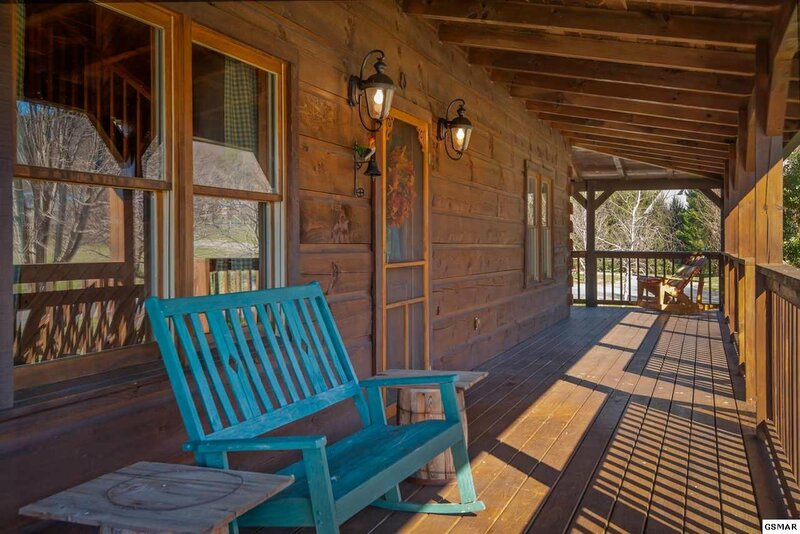 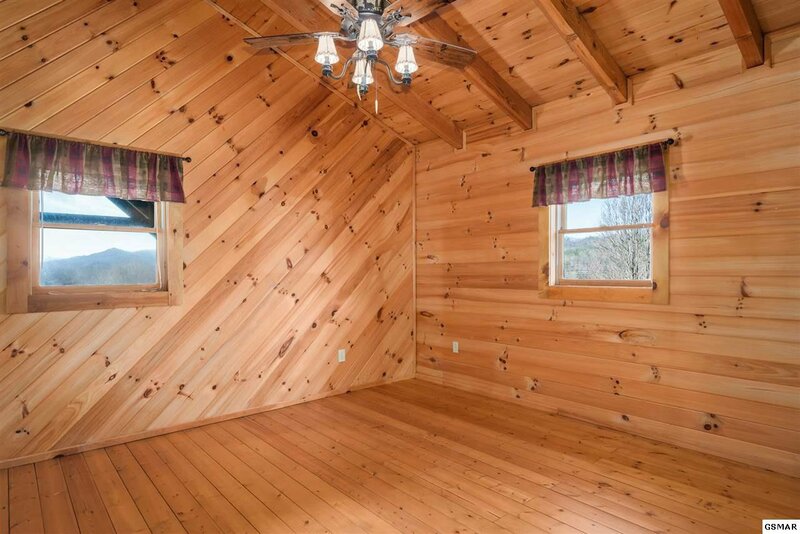 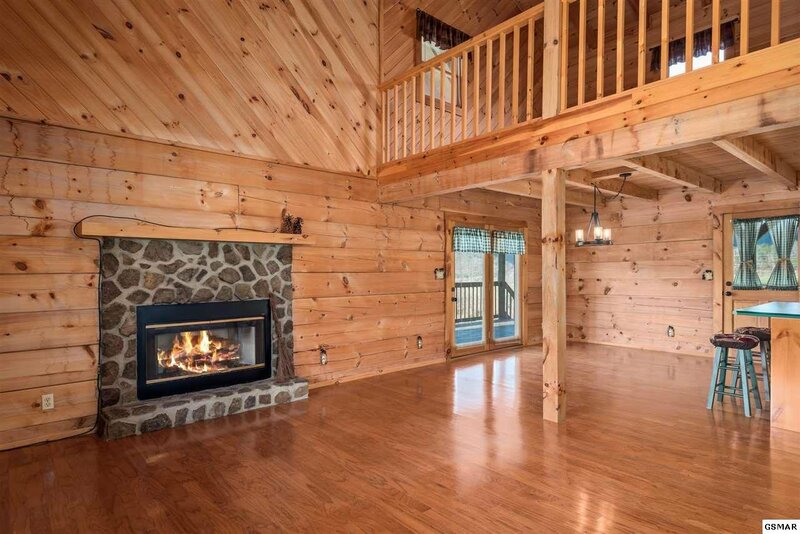 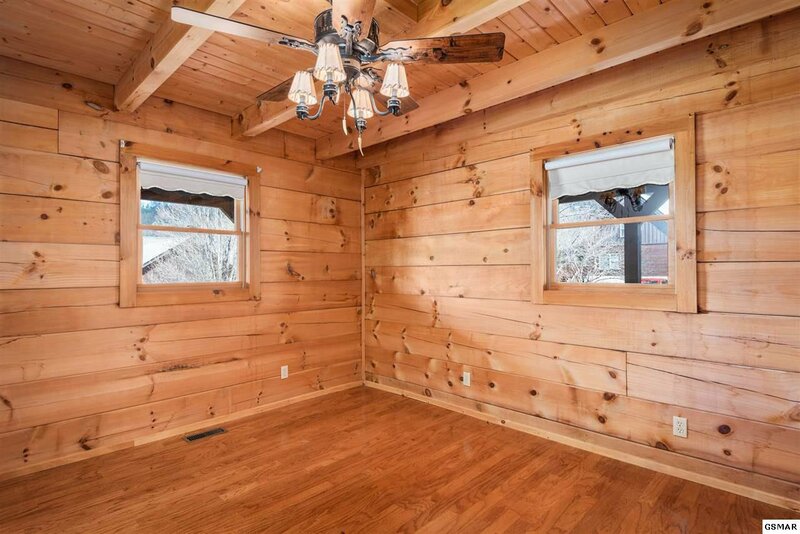 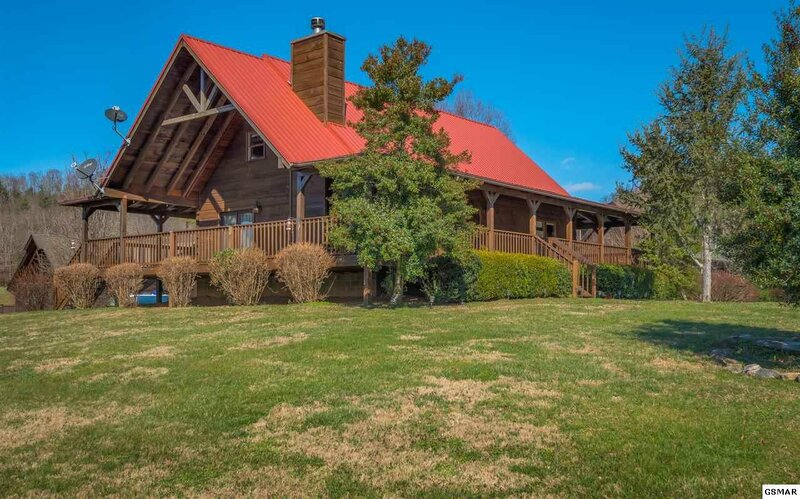 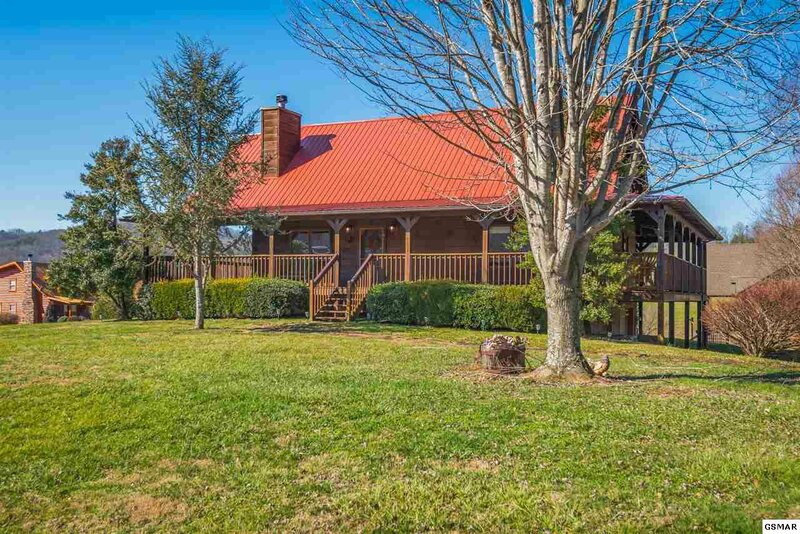 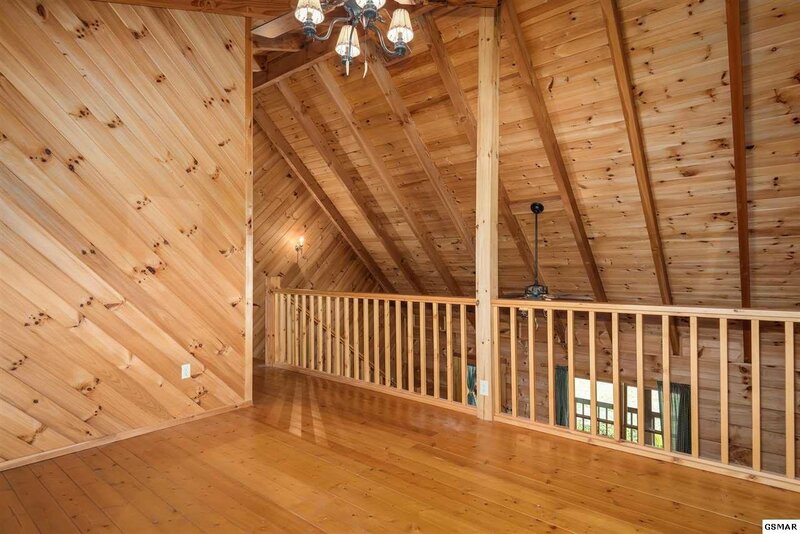 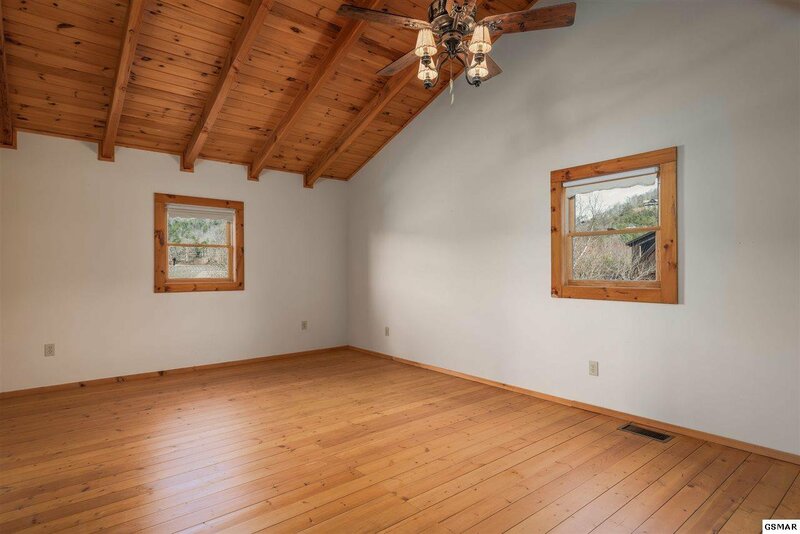 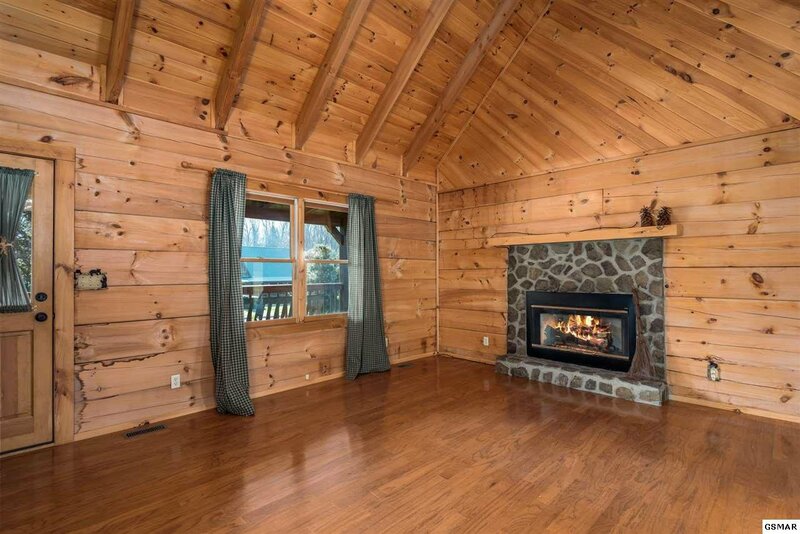 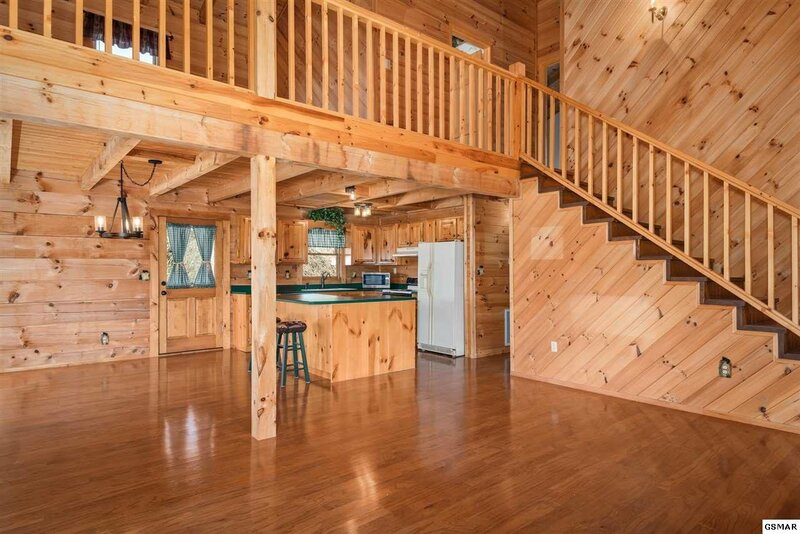 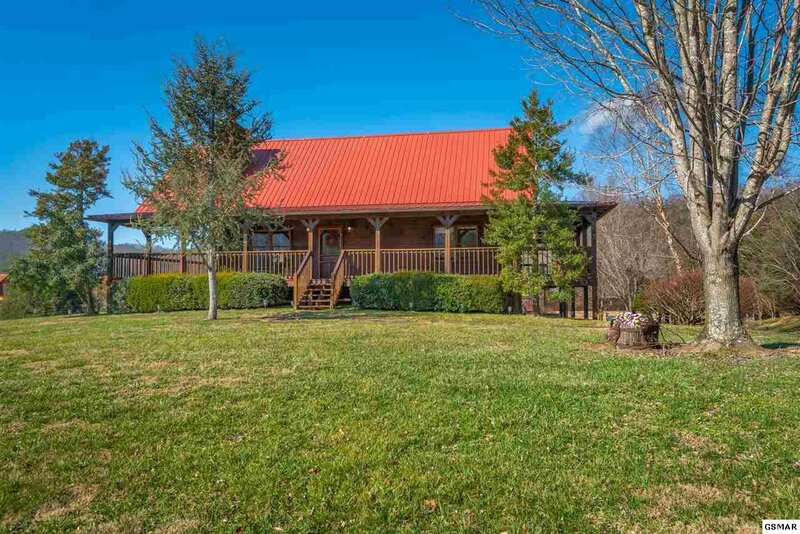 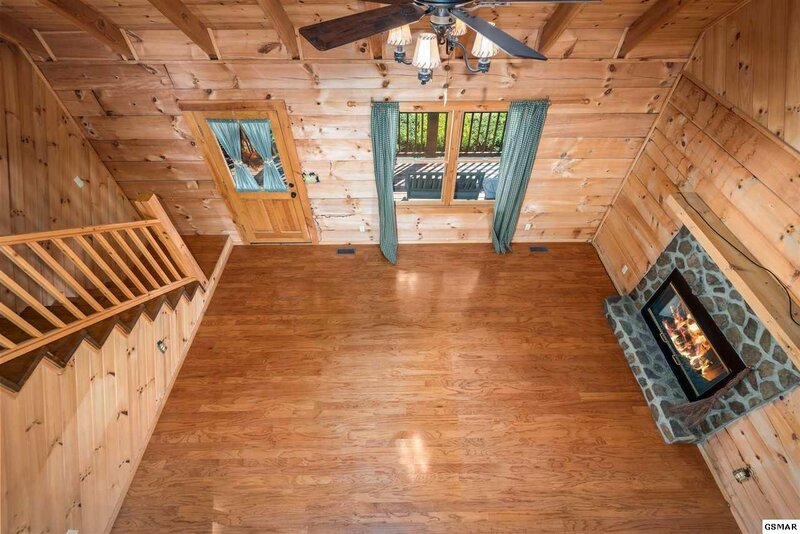 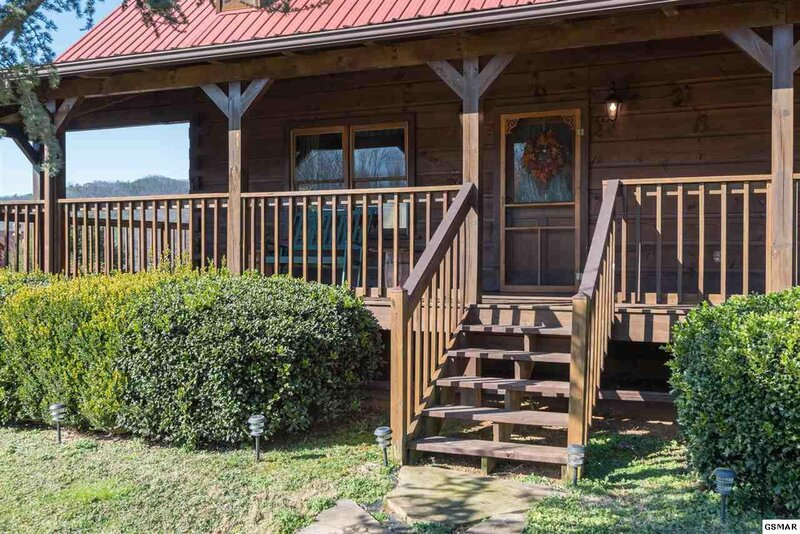 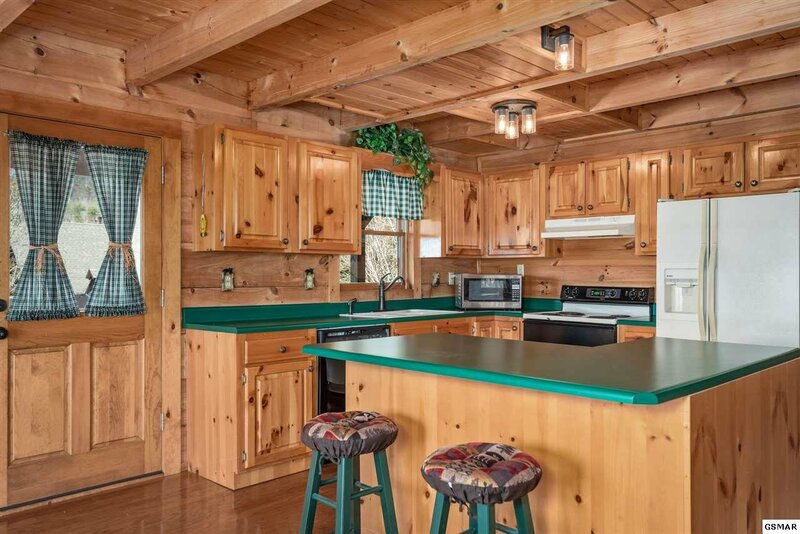 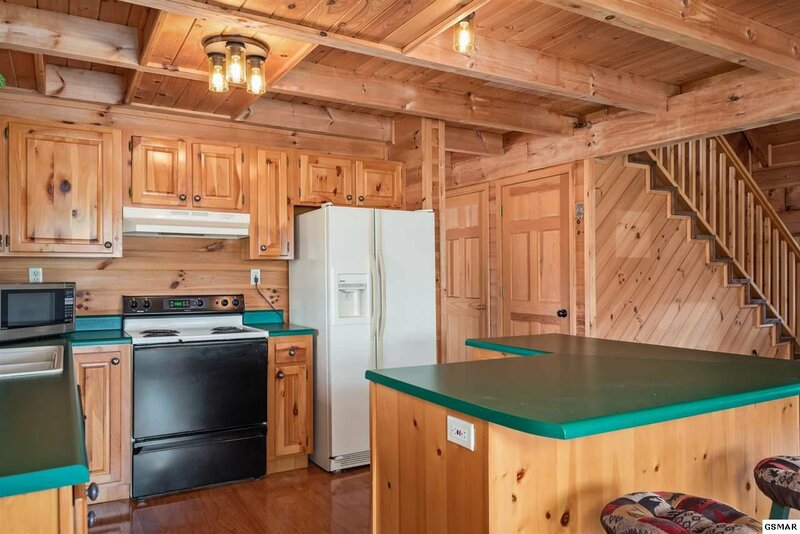 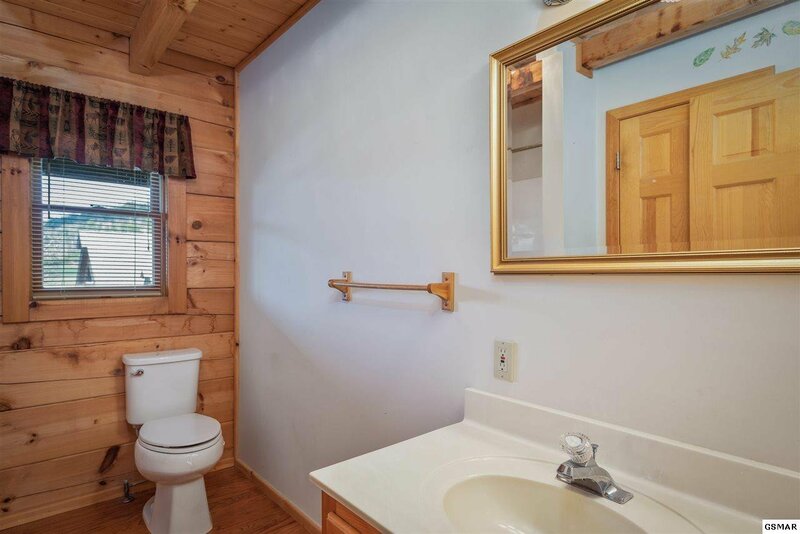 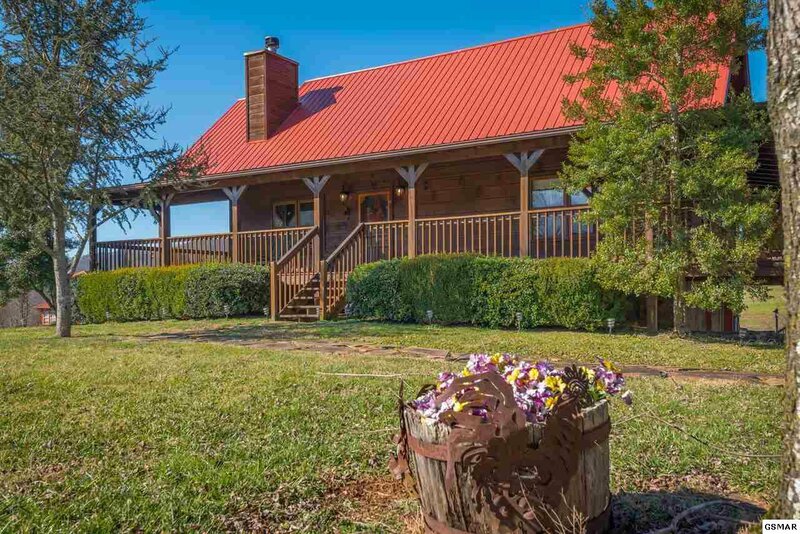 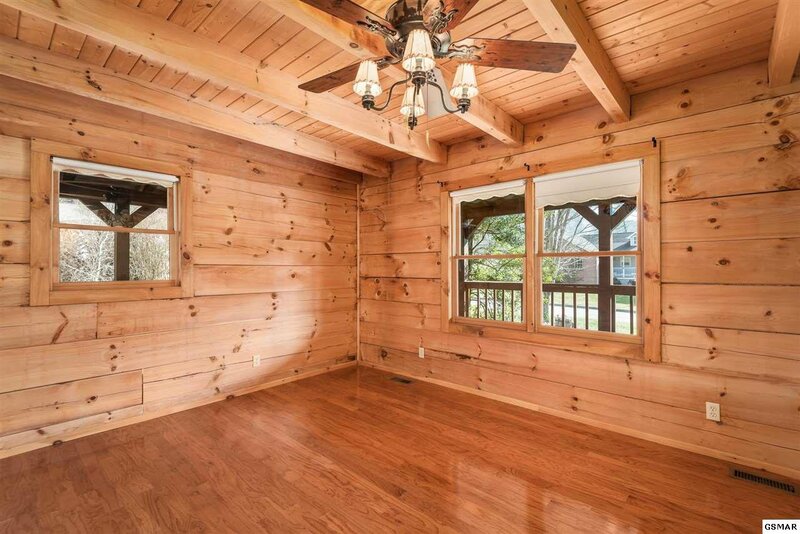 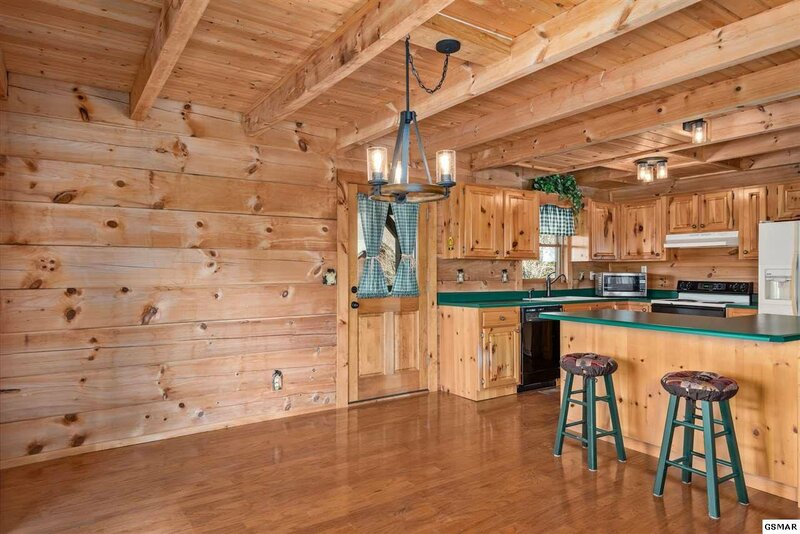 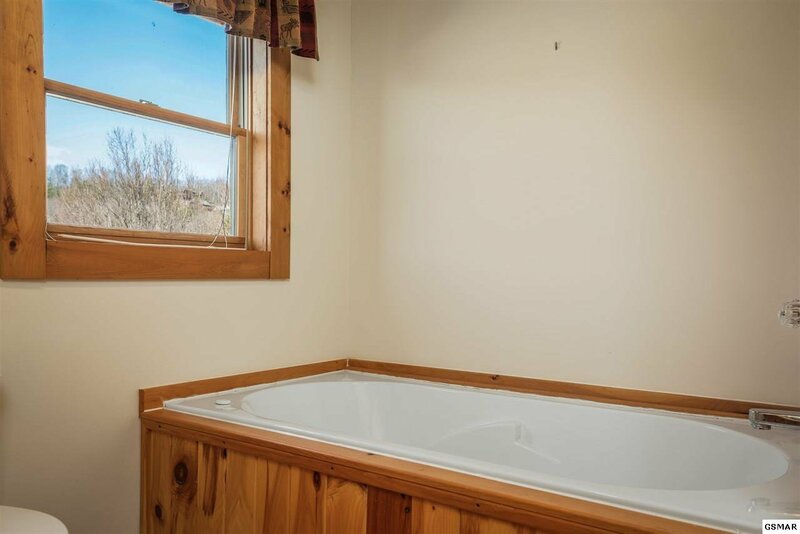 This gorgeous log cabin located in the heart of Wears Valley boasts many upgrades and features that are highly sought after. 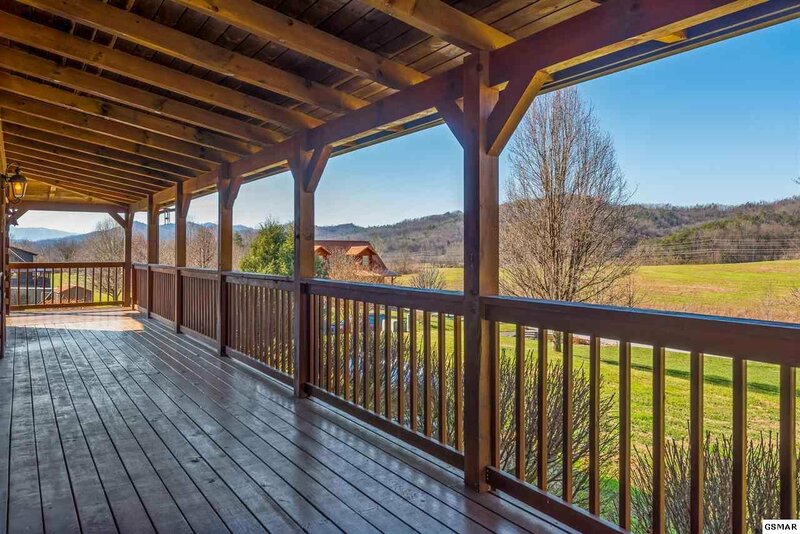 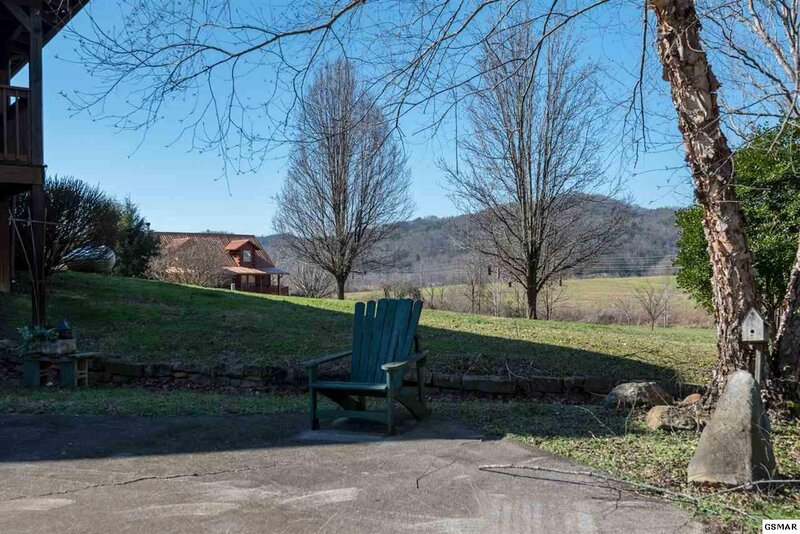 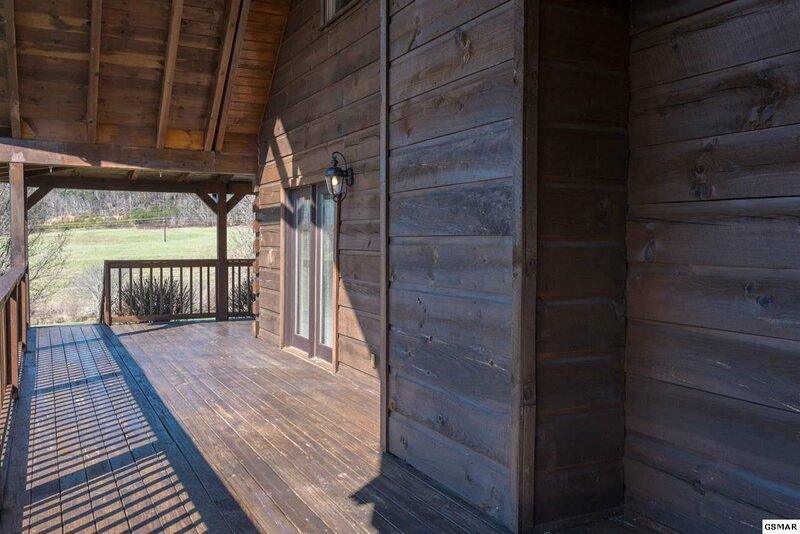 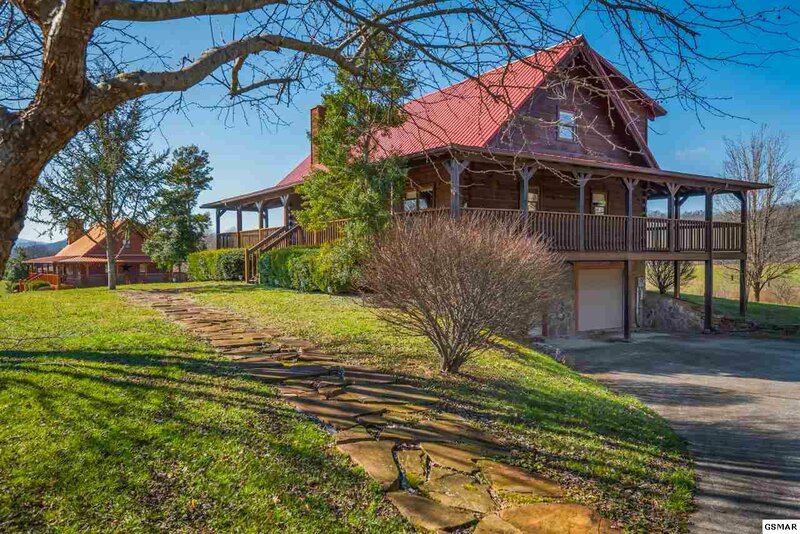 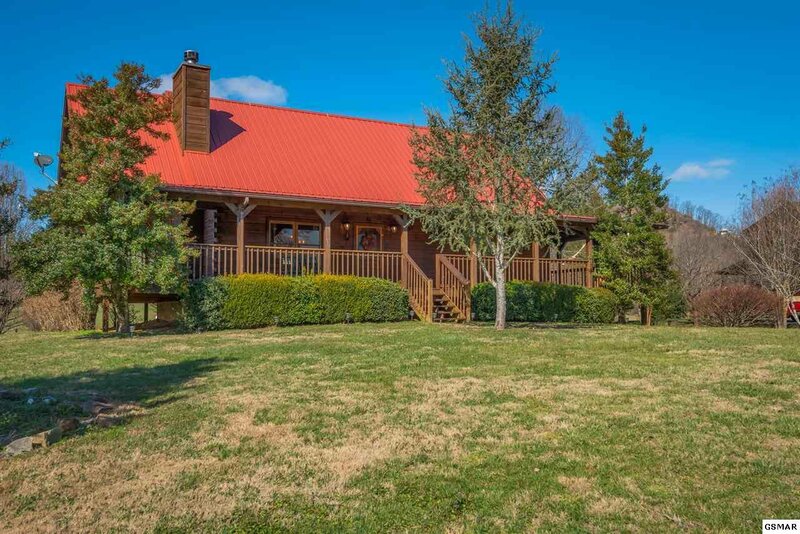 The beautiful wrap around porch has mountain views from all sides. 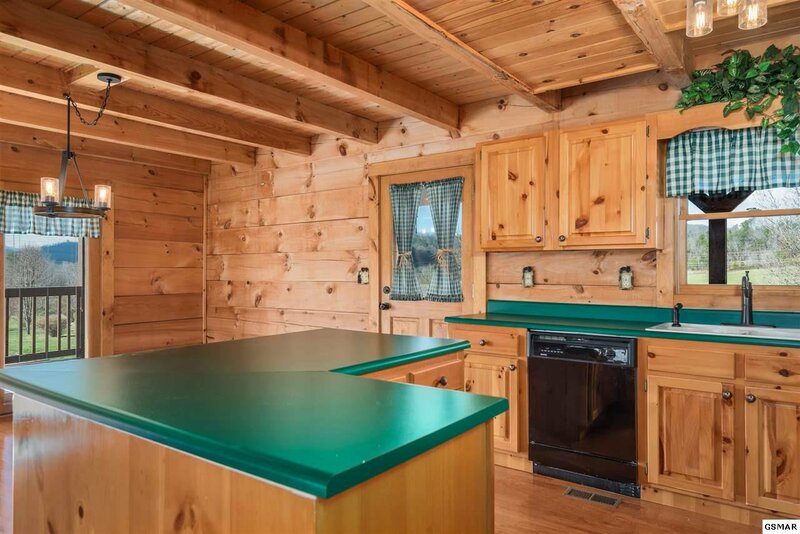 The lot is mostly level and has a nice yard unlike most cabins for sale. 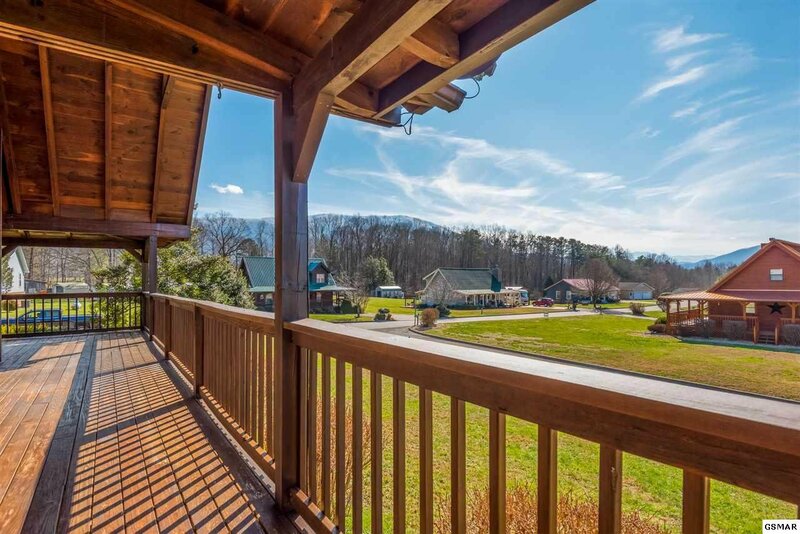 Autumn View estates is a quiet, well kept community and the roads there are flat and easy to travel. 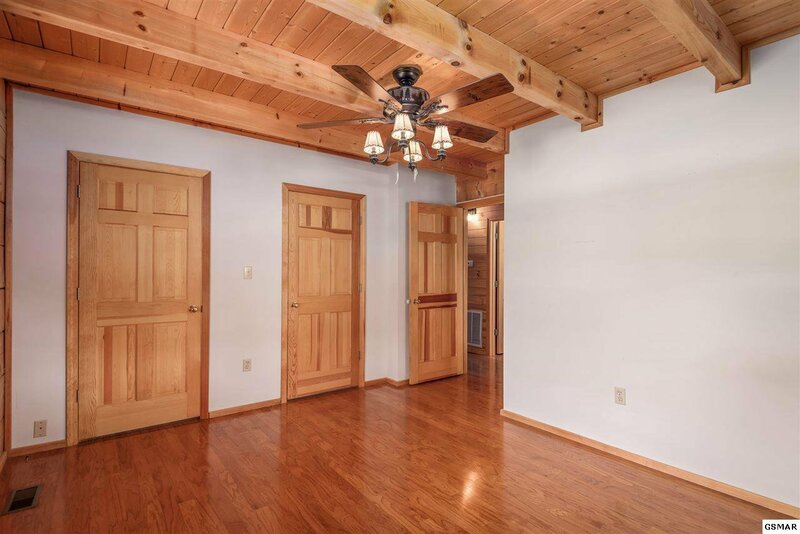 The main level features an open floor plan with a huge kitchen, nice large living room area with cathedral ceilings as well as two bedrooms and a bathroom. 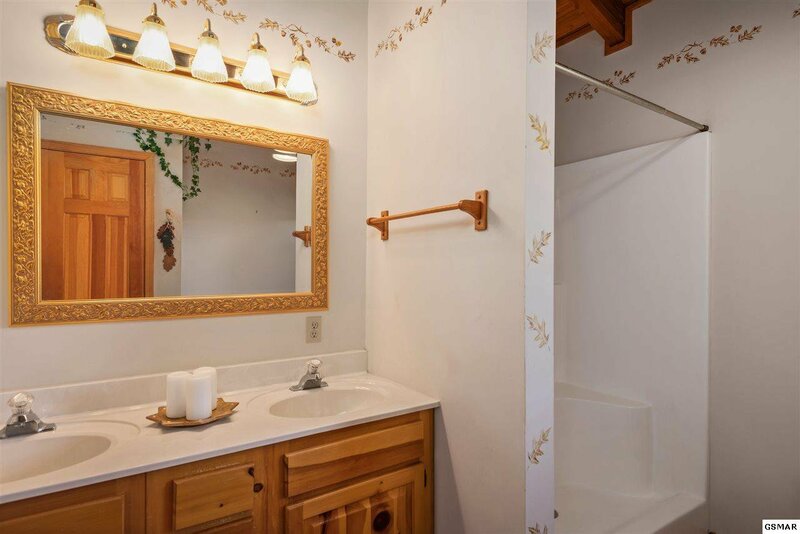 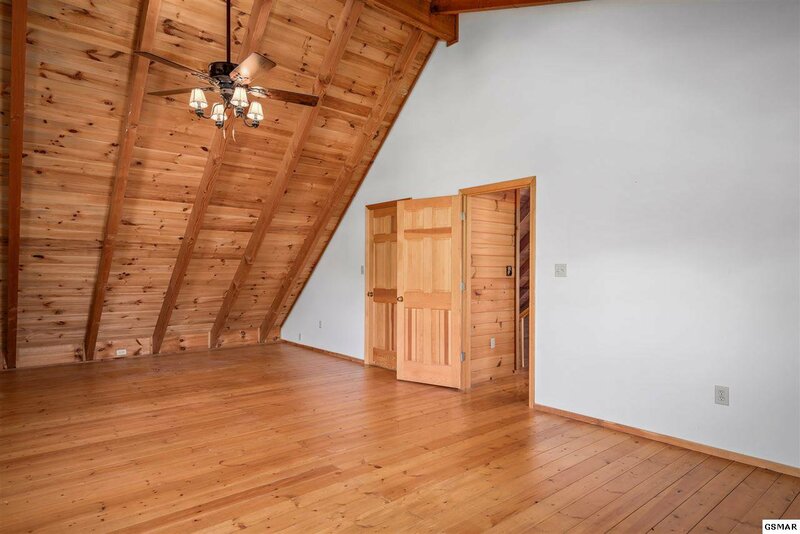 As you move upstairs you'll find a huge loft area, a bathroom and a large third bedroom. 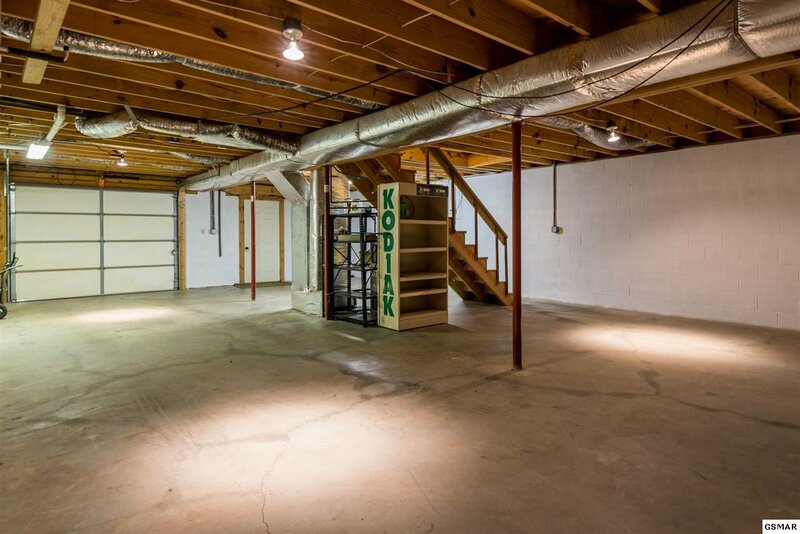 The unfinished basement features a giant two car garage area that could easily be finished to add more living space. 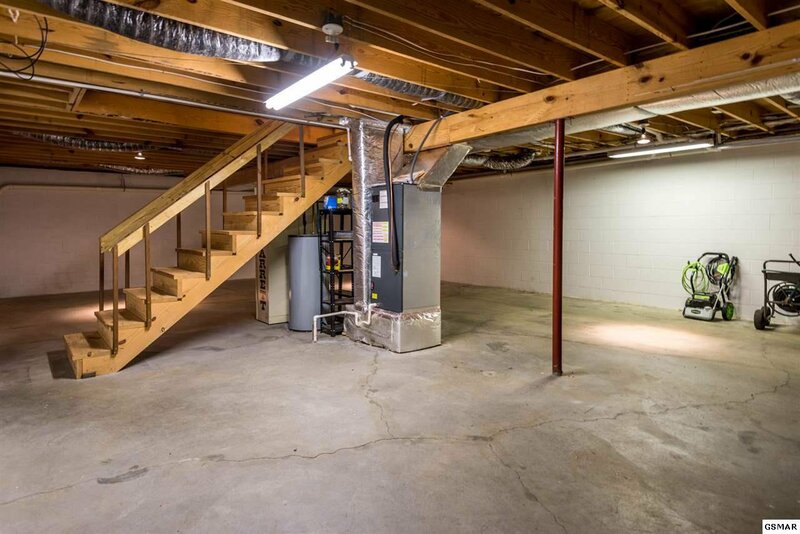 The owners have spared no expense upgrading this home to keep it pristine: new HVAC unit 2017, new interior lights, new ceiling fans, new exterior lights, new lifetime metal roof 2016, new toilets, and new kitchen fixtures. 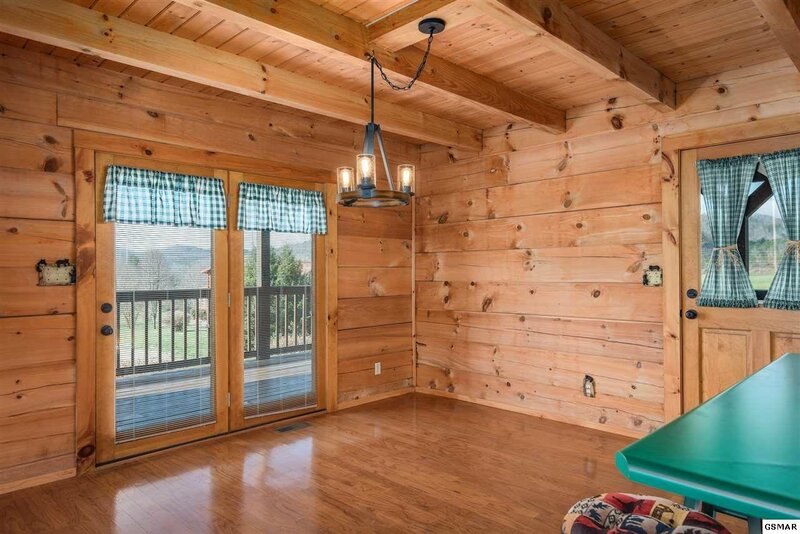 This cabin is tremendously special, one of a kind, and is just waiting for you to make it your own. 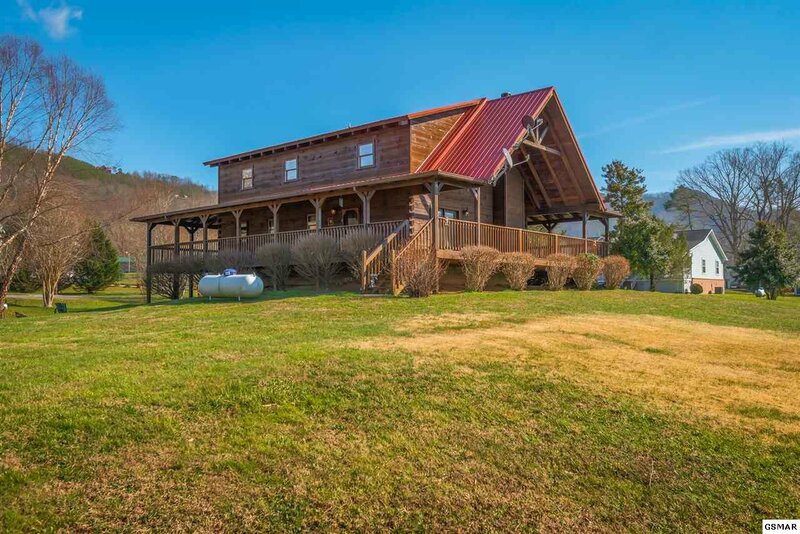 Listing courtesy of Smoky's Real Estate, Llc.